With less than a year to go until the United Kingdom leaves the European Union, there are many complex issues requiring detailed solutions that have yet to be worked out. One such issue not routinely covered by the media, yet nonetheless important, is the issue of divorces between European couples. If, for instance an English man marries an Italian woman in Spain, they make their home in England, but on separation one party moves to France, one might assume that this creates a knotty legal problem of in which country does a divorce take place, and how would any order made in one country be enforced in another? Current European Union rules make this relatively straightforward; all EU countries have harmonised rules for deciding which countries courts are able to deal with a divorce. Also the courts of each EU country will recognise, and enforce, the orders of the courts of another EU country. Therefore in our unhappy example above, if our international couple were divorced in England, the French court would recognise and assist in the enforcement of any English court order. Brexit threatens to unpick that. Resolution, the family lawyers organisation supports retention of the current regime post Brexit, as creating the simplest, fairest and most certain arrangement for separating couples. Alternately, the Government’s EU (Withdrawal) Bill proposes to incorporate all EU legislation into UK law. This is problematic for a number of reasons, primarily as the family law provision relies on countries recognising and enforcing each other’s orders. Under this option, UK courts would be required to recognise EU court orders, but not the other way around. As a result, citizens might find themselves faced with multiple proceedings. Our unhappy couple may have proceedings in England and France, something the current rules do not allow. These proceedings might have significantly different outcomes. There then would follow the question of recognising that outcome – the UK court would recognise the French outcome but the French court not be required to recognise it’s UK counterpart! Baroness Butler-Sloss, former President of the Family Division, has expressed considerable concern about this, and this is a valid point. Surely couples going through the unpleasantness of divorce are entitled to as much certainty of outcome as possible, not less? The final option is that the UK negotiates some from of custom arrangement with the EU. It would take a long time to consider, negotiate and put in place such an agreement. 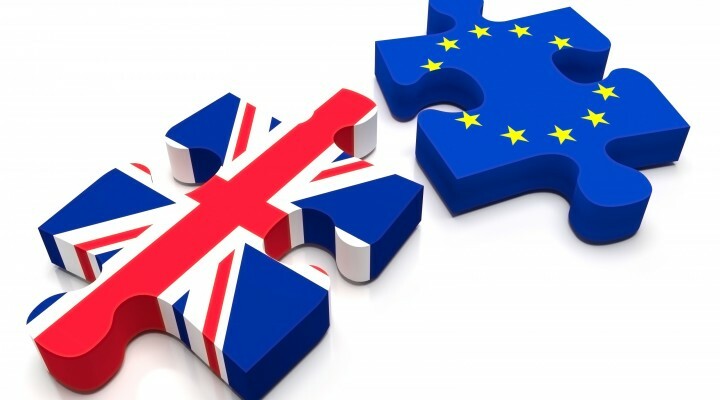 Given the length of time negotiations on the myriad other issues are taking, it is doubtful that anything would be in place by the date the UK leaves the European Union. The current system remains in place for the time being. As with so many other Brexit related issues, no details are yet known of how this problem is to be tackled and family practitioners and their clients must remain on tenterhooks as to how this will be addressed by law makers. But the clock is ticking……. !